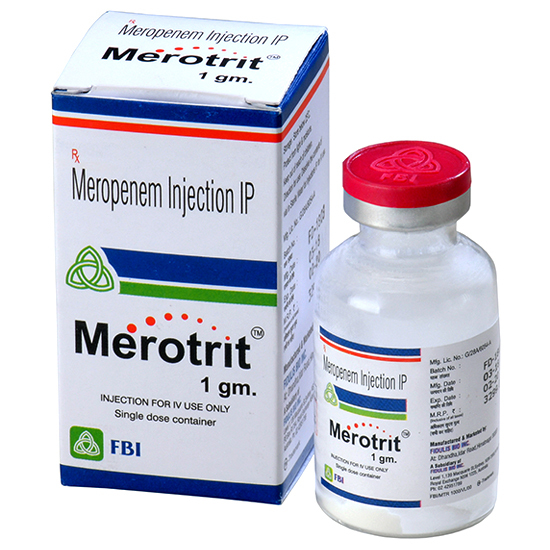 Meropenem is a broad-spectrum carbapenem antibiotic. The bactericidal activity of meropenem results from the inhibition of cell wall synthesis. Meropenem readily penetrates the cell wall of most Gram-positive and Gram-negative bacteria to reach penicillin-binding-protein (PBP) targets. Its strongest affinities are toward PBPs 2, 3 and 4 of Escherichia coli and Pseudomonas aeruginosa and PBPs 1,2 and 4 of Staphylococcus aureus. Meropenem has significant stability to hydrolysis by β-lactamases of most categories, both penicillinases and cephalosporinases produced by Gram-positive and Gram-negative bacteria. Meropenem should not be used to treat methicillin-resistant staphylococci (MRSA). 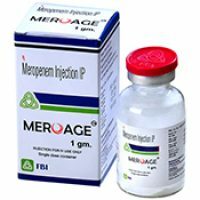 In vitro tests show meropenem to act synergistically with aminoglycoside antibiotics against some isolates of Pseudomonas aeruginosa Meropenem has been shown to be active against most isolates of the following microorganisms, both in vitro and in clinical infections. 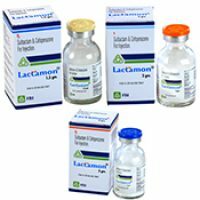 (β-lactamase and non- β-lactamase producing methicillin-susceptible isolates only). Streptococcus agalactiae, Streptococcus pneumonia (penicillin-susceptible isolates only). NOTE: Penicillin-resistant isolates had meropenem MIC 90 values of 1 or 2 ɯg/mL, which is above the 0.12 ɯg/mL susceptible breakpoint for this species. At least 90% of the following microorganisms exhibit in vitro minimum inhibitory concentration (MIC) lest than or equal to the susceptible breakpoints for meropenem. However, the safety and effectiveness of meropenem in treating clinical infections due to these microorganisms have not been established in adequate and well-controlled trails. At the end of a 30-minute intravenous infusion of a single dose of meropenem I.V. 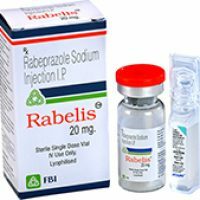 in normal volunteers, ean peak plasma concentrations are approximately 23 ɯg/mL (range 14 – 26) for the approximately 45 ɯg/mL (range 18-65) for the 500 mg dose and 112 ɯg/mL (range 83-140) for the 1 g dose. 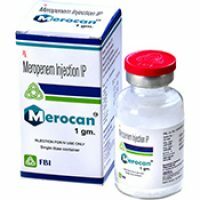 Following intravenous doses of 500 mg, mean plasma concentrations of meropenem usually decline to approximately 1 ɯg/mL at 6 hours after administration. 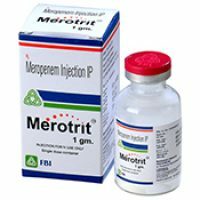 Meropenem penetrates well into most body fluids and tissues including cerebrospinal fluid, achieving concentrations matching or exceeding those required to inhibit most susceptible bacteria. Plasma protein binding of meropenem is approximately 2%. In subjects with normal renal function, the elimination half-life of meropenem I.V. is approximately 1 hour. Approximately 70% of the intravenously administered dose is recovered as unchanged meropenem in the urine over 12 hours, after which little further urinary excretion is detectable. Urinary concentrations of meropenem in excess of 10 ɯg/mL are maintained for up to 5 hours after a 500 mg dose. No accumulation of meropenem in plasma or urine was observed with regimens using 500 mg administered every 6 hours in volunteers with normal renal function. There is one metabolite that is microbiologically incactive. Antimicrobial therapy should be adjusted, if appropriate, once the results of culture(s) and antimicrobial susceptibility testing are known. Adults : The recommended dose of Meropenem I.V. 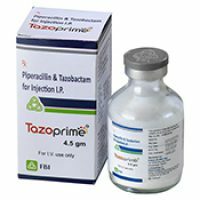 is 500 mg given every 8 hours for skin and skin structure infections and 1 g given every 8 hours for intra-abdominal infections. Meropenem I.V. should be administered by intravenous infusion over approximately 15 to 30 minutes. Doses of 1 g may also be administered as an intravenous bolus injection ( 5 to 20 mL) over approximately 3-5 minutes. Paediatric use : For paediatric patients from 3 months of age and older, the Meropenem I.V. dose is 10, 20 or 40 mg/kg every 8 hours (maximum dose is 2 g every 8 hours), depending on the type of infection (complicated skin and skin structure, intra-abdominal or meningitis). Paediatric patients weighing overy 50 kg should be administered Meropenem I.V. 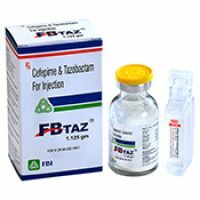 at a dose of 500 mg every 8 hours for complicated skin and skin structure infections, 1 g every 8 hours for intra-abdominal infections and 2 g every 8 hours for meningitis. Meropenem I.V. 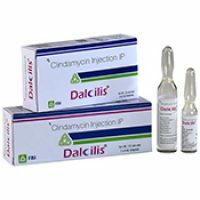 should be given as intravenous infusion over approximately 15 to 30 minutes or as an intravenous bolus injection (5 to 20 mL) over approximately 3-5 minutes. There is no experience in paediatric patients with renal impairment. Stability in infusion vials : Meropenem I.V. 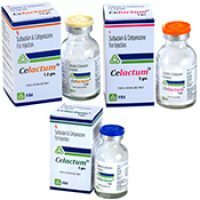 infusion vials constituted with Sodium Chloride injection 0.9% ( Meropenem I.V. concentrations ranging from 2.5 to 50 mg/mL) are stable for up to 2 hours at controlled room temperature 15-25°C (59-77°F)or for up to 18 hours at 4°C (39°F). Infusion vials of meropenem I.V. 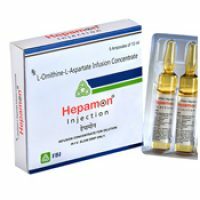 constituted with Dextrose Injection 5% (Meropenem I.V. 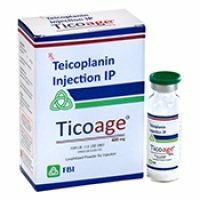 concentrations ranging from 2.5 to 50 mg/mL) are stable for up to1 hour at controlled room temperature 15-25°C (59-77°F) or for up to 8 hours at 4°C (39°F). Saizures and other adverse CNS experiences have been reported during treatment with Meropenem. These experiences have occurred most commonly in patients with CNS disorders (e.g. brain lesions or history of seizures) or with bacterial meningitis and/or compromised renal function. Pseudomembranous colitis has been reported with nearly all antibacterial agents, including meropenem and may range in severity from mild to life-threatening. Therefore, it is administration of antibacterial agents. After the diagnosis of pseudomembranous colitis has been established, therapeutic measures should be initiated. Mid cases of pseudomembranous colitis usually respond to drug discontinuation alone. 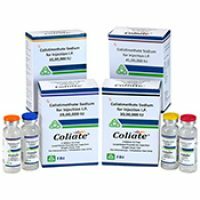 In moderate-to-severs cases, consideration should be given to management with fluids and electrolytes, protein supplementation and treatment with an antibacterial drug clinically effective against Clostridium difficile colitis. They are no adequate and well-controlled studies in pregnant women. 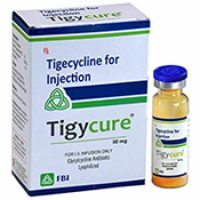 Because animal reproduction studies are not always predictive of human response, this drug should be used during pregnancy only if clearly needed. Because many drugs are excreted in human milk, caution should be exercised when Meropenem is administered to a nursing woman. Systemic adverse clinical reactions that were reported irrespective of the relationship to meropenem I.V. occurring in greater than 1.0% of the patients were diarrhea (4.8%), nausea/vomiting (3.6%), headache (2.3%), rash (1.9%), sepsis (1.6%), constipation (1.4%), apnea (1.3%), shock (1.2%) and pruritus (1.2%). Additional adverse systemic clinical reactions that are reported irrespective of relationship to therapy with meropenem I.V. and occurring in less than or equal to 1.0% but greater than 0.1% of the patients are listed below within each body system in order of decreasing frequency. Bleeding events were seen as follows: gastrointestinal haemorrhage (0.5%), melena (0.3%), epistaxis (0.2%), haemoperitoneum (0.2%), summing to 1.2%. Accidental overdosage could occur during therapy, particularly in patients with renal impairment. Treatment of overdosage should be symptomatic. In subjects with renal impairment haemodialysis will remove meropenem and its metabolite.